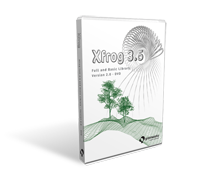 Xfrog components make it easy to build plants, organic shapes or abstract objects. Below you will find a list of the different components and what they can do for you. All Xfrog components can be animated by varying their parameters: Growth, number of branches, strength of attraction, gravitropism, or phototropism, and each parameter of every Xfrog component can be animated! 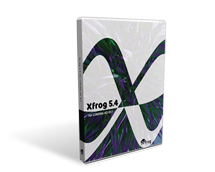 With this flexibility, Xfrog can animate things like blossoming flowers or trees growing from seed to adult. Branch Object is for easily setting up elaborate multi-level branching structures with numerous parameters to give them a natural look. The Tropism Object lets your spline-based objects bend towards an abitrary direction or position. 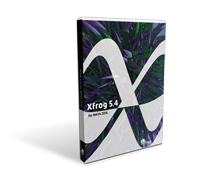 Add Xfrog Software to your XfrogPlants Bundles and save even more! Questions about licensing? Feel free to Ask Us!